After a long, trying few months, the ANC policy conference has finally come around. Seeing a shift in power, a struggle to regain hold and tackling the plague of in-fighting, the conference did not resemble its 1990 counterpart – void of the hope that was once such a vibrant part of this movement. The ANC’s 5th policy conference is currently underway in Johannesburg. The conference started on Friday June 30th and continues until Wednesday July 5th. 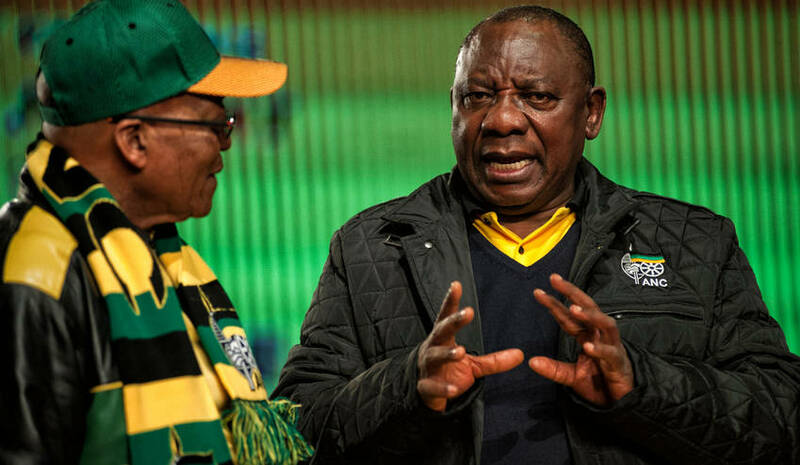 A gathering of about 3500 ANC delegates, from different branches across the country, meet to discuss the party’s policies going into the elective conference in December – this is where changes and new policies will be implemented, as well the election of the ANC head moving forward. When delivering his opening speech of the conference, President Jacob Zuma took the opportunity to lash out at opposition parties for always challenging government decisions in court, saying it goes against his understanding of democracy. Although after recent accusations, one cannot help but wonder what exactly President Zuma’s understanding of democracy is. The party’s national policy conference at Nasrec is very different to its inaugural policy conference there in 1990. At their first conference, hope was abundant in the eve of a new beginning for South Africa, although money was not as abundant. Now we jump to 2017 and there is a lot of money to be used, but the overall hope found in delegates seems to be a scarce resource. Presenting a diagnostic report of the state if the ANC at the present moment. It shows that the ANC is aware of its rapid loss of moral grounding. As a party that was once trusted to change the lives of the majority of the people for the better, it has sadly dwindled to a party that is stuck in Wonderland, having lost a sense of right or wrong. In the early days of the new South Africa, delegates would mingle with the media, often taking young journalists through the big issues of the day and putting them to the test as mature journalists. This included information like, what kind of economy was right for the young democracy? What is the role of women in the economy? Where does Nationalisation fit in? What is ideal healthcare? And a myriad otherissues that were subject to the continuous, open and publicly aired debate that was always a part of the ANC process. Now it would seem the openness has gone, replaced by fear of the outside world. Rather than the common, open forum, journalists have found this conference to be more shrouded in secrecy, more preempted and planned, carefully laid out as to not focus on any of the negativities plaguing the party. From increased personal security for delegates, increased venue security and an endless range of luxury cars, it would seems no expense has been spared to make our powerful leaders feel at ease around their own people. The media, the unbiased watch dog of our leaders, has been seated behind a mesh fence, unable to interact and discuss issues as in years before. A perfect metaphor for the present ANC if I’ve ever seen one.